Watch the video expose on Harry Potter! Is it true that media blockbusters like Twilight and Harry Potter are playing a decided role in seducing young people into Satanism and witchcraft? As we shall see, even MTV has acknowledged that such movies have played a surprising role in making Wicca [witchcraft] one of the fastest growing religions in America. Twilight, a series of novels authored by Mormon, Stephenie Meyer, reveals that she may have had some help from at least one “terrifying” spirit guide. With the second novel ready to hit the silver screen, Twilight is now bigger than “Pottermania” and has successfully deceived millions of America’s youth. 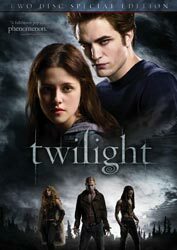 The fan base is made up of predominantly young girls, who have been drawn into the dark tale by a romance between a 108-year-old vampire (who appears much younger because he doesn’t show his years) named Edward, and a teenage girl named Bella. Beyond the apparent pedophilic problems that this “romance” poses, Twilight is riddled with unbiblical themes that glamorize and glorify the occult. 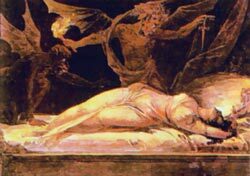 One such theme involves the perverted occult concept of an incubus. 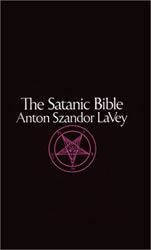 According to Satanists, an incubus is believed to be a dark supernatural entity that is able to manifest itself and engage in sexual relations with a woman. Clearly, these are hardly the kinds of themes that God wants His children fantasizing about or glorifying. Tragically, many Wiccans have been deceived into believing they can have relationships with “good” spirits and cast “good” spells, when in reality, they have opened the door to demonic oppression and even demon possession. After many Wiccans open the door to the demonic realm, they are then taught that they can use counter spells to summon “good” spirits to protect them from evil spirits. This device has been effectively utilized by Satan to delude the prospective Wiccan by promising power, while enslaving them to an occult construct. Sadly, the vampire, Edward, is cast as a romantic supernatural hero, whose net affect in the real world gives ample fuel to the occult lie that there are “good” dark spirits. In recent years, Hollywood has targeted our youth through a long parade of subversive occult productions. Beyond the first two installments ofTwilight and a seemingly endless procession of Harry Potter movies, other titles include The Craft, Practical Magic, Charmed, Buffy the Vampire Slayer, Sabrina the Teenage Witch, Wizards of Waverly Place, and the list goes on and on. Such movies, along with popular cartoons and music glorifying the occult, have been powerful weapons in Satan’s arsenal and used as evangelistic tools to seduce our impressionable youth into hiskingdom, from the crib to the grave! When we produced our documentary on Harry Potter, we warned of an ensuing occult revival as a result of such nefarious productions. While many claimed that Harry Potter was somehow safe, the tragic result was a mass recruitment of our youth into Wicca and other godless, neo-pagan, occult constructs. Incredibly, the evidence is now glaring amidst a neo-pagan revival… even MTV acknowledged that our ministry and others who had provided such warnings proved to be correct! Such a tragic revelation should give any parent who is concerned about the eternal destiny of their children great concern. May God grant us grace and diligence to be wiser and better equipped in regard to what we allow our children to be subjected to in popular culture. There is no doubt that Hollywood is transforming many once innocent children into narcissistic, demon worshipping, wand wielding, neo-pagans, who have been led to believe that they can be little gods who can manipulate the forces of the universe like Harry Potter. 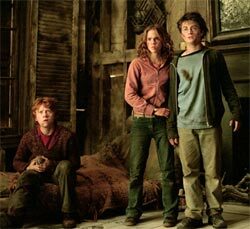 “Harry Potter treats the occult and its practices as neutral and in some cases as useful. The magic taught at ‘Hogwarts’ can be used by the good witches and wizards and by those on the Dark Side as well. The implication is that the power, wherever it comes from, is neutral. In fact, the books do more than regard magic as neutral. ‘Muggles’, characters who are depicted without any magical ability, are treated with condescension ranging from pity to outright contempt. On the contrary, those characters with magical ability are clearly superior to those without it, even among the most tolerant witches and wizards. Psychology Today acknowledged that celebrity worship has taken the place of the worship of God for many people and that teenagers are most susceptible to the condition. Truth be told, we are not dealing with a psychological condition as much as we are dealing with a massive spiritually lost condition known as idolatry. This condition is fostered and propagated by media elites in Hollywood and the music industry alike – and both are effectively changing the face of the world. 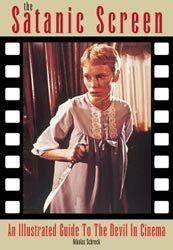 Tragically, millions of young people have been duped by the idea that they can become gods and wield supernatural powers wherein they can bend and manipulate reality to fulfill their own narcissistic will through an endless salvo of Hollywood productions glorifying the occult. 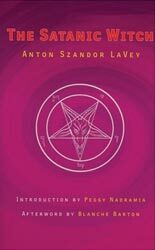 Many Wiccans are unaware of the fact that much of their teachings, ceremonial magic and “scriptures” are based on the teachings of Satanist, Aleister Crowley. 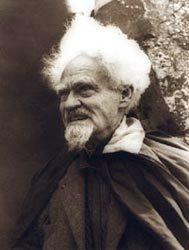 Many of Crowley’s ceremonies and teachings were simply reformulated by Gerald Gardner, who is credited as the founder of Wicca and was a member of Crowley’s satanic organization, known as the OTO. 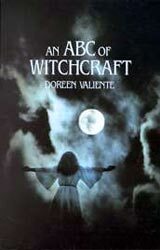 Even the Wiccan Rede (aka “counsel” or “advice”), “An’ Ye Harm None, Do What Ye Will” was influenced by Crowley’s maxim, “Do What Thou Wilt Shall be the Whole of the Law.” While many Wiccans seek to disassociate from Satanists for understandable reasons, they have been deceived into believing that there is a difference between good and bad demons and so-called “white” and “black” magic. The sobering reality is thatall such magic is from the same Satanic source, whether it is called white, black, red, yellow, green or purple. These seducing spirits are at the root of the mass conditioning of the world’s youth via diabolical productions like Twilight and Harry Potter. Such spirits have long been active and they are using many human agents as channels to convey their lies in their effort to transform Western civilization’s collective worldview through mass media. 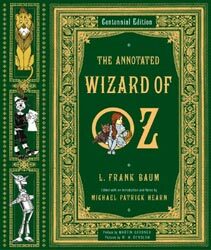 Even the idea in the Wizard of Oz, that there are both “good” and “bad” witches, was channeled through an occultist by the name of Frank Baum (1851-1919). Lest we think that such messages carry little influence, I counter with Oprah Winfrey as “Exhibit A”! When explaining the origins of her greatest spiritual teaching she said, “Although I meditate every day and I pray every night and I read spiritual material, my greatest teaching is The Wizard of Oz… [The good witch says to Dorothy] ‘You’ve always had the power my dear. 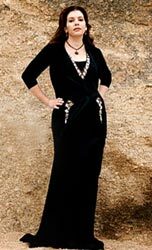 You’ve always had the power.’ That good witch, she’s my girl!”Tragically, Oprah has become the most effective televangelist on TV, as she turns millions of unsuspecting souls toward an occult worldview through her promotion of books like The Secret by Rhonda Byrne and A New Earth by Eckhart Tolle. As you can see, young people are not the only ones being indoctrinated with last day’s doctrines of demons! Sadly, if the truth was known, and Twilight fans were truly aware of the dark and malignant nature of the ‘real’ forces behind the Twilight saga, they would run – and not walk – to the nearest exit! It appears as though the spirit entity appearing as Edward to Meyer in her dreams, and communicating to her when she was conscious, revealed more about his true nature than Meyer had bargained for. A demon by any other name is still a demon! Rather than being the “good” vampire demon that is able to restrain from drinking Bella’s blood, like the demons of the past that demanded the blood of children through child sacrifice, it is apparent that the spirit entities behind Twilight are the same old devils after all! 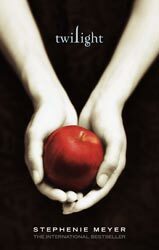 It may be significant that Stephenie Meyer chose a woman holding an apple for the front cover of Twilight, an ancient symbol of the forbidden fruit partaken by Eve, as she rebelled against her Creator and sought the position of God Himself. While we cannot be sure just what kind of fruit was on the tree of knowledge, the apple has become a popular depiction of the forbidden fruit that Satan used to deceive Eve. Meyer, who is a Mormon, may see the apple the way many leading Mormons and Satanists of the past did. Like ancient Gnosticism and the new spirituality, Mormonism teaches that one may become a god through secret knowledge. Ancient Gnostics venerated the serpent and celebrated Eve’s partaking of the forbidden fruit in Eden. In the Mormon Church, achieving godhood comes through the temple endowment and secret Mormon rituals. Tragically, J. K. Rowling has revealed that her inspiration for Harry Potter also came in what appears to be spirit communication. This spirit communication happens to parallel that of Meyer’s experience in chilling ways. Rowling’sHarry Potter series is “the most popular children’s series ever written,” and as MTV acknowledged, has helped to initiate countless children into Wicca. Harry, as most know by now, was the victim of overbearing caregivers (called Muggles) until he found his calling as a sorcerer at Hogwarts School of Witchcraft and Wizardry. While the Twilight saga has seduced young people into an occult worldview, through romance, Harry Potter seduces young people into Wicca and other neo-pagan worldviews and practices through the lure of occult power and the lie that you, too, can become like God. Dear reader, people are unaware that there is a spiritual battle between good and evil because so many are blinded to the fact that they themselves, either knowingly or unknowingly, have become participants. The sad and tragic result is that many have been deceived to the point of becoming spiritually blind. I too was as blind as a bat when it came to spiritual things and consequently, opened myself up to satanic forces while “innocently” seeking to tap into the power of the “subconscious” mind. In doing so, I rejected the Creator and His Word, the Bible, and my rebellious quest opened me up to a Pandora’s box of dark satanic forces that I had no idea existed. Thankfully, when I came to realize that both God and Satan existed, and that the living God inspired the Bible, I turned from my sinful rebellion against my Maker and cried out to the Lord Jesus Christ. Praise God, He was more than faithful to fulfill His promise that, “Whoever calls upon the name of the Lord shall be saved.” (Romans 10:13) Hallelujah! God mercifully vanquished the dark forces that sought to control my life and gave me a place in His eternal kingdom. He commissioned me to “Have nothing to do with the fruitless deeds of darkness, but rather expose them.” (Ephesians 5:11), and commissioned me to preach the Good News of salvation through the Lord Jesus Christ. Please know that if you are reading this article it is not by accident… God, in His great love and providence, is giving you an opportunity to see through Satan’s lies and come to the knowledge of the truth, just as He did for me! If you want to escape eternal judgment and a Christless eternity in Hell forever, you must turn from your sinful life and put your trust in the Lord Jesus Christ, who gave Himself for your sins on the cross. If you are turning to Christ now, we want to encourage you to renounce the works of darkness and begin reading God’s Word, continue to pray, and find a church that sincerely submits to God’s Word in faith and practice. If you are already a Christian, we would like to encourage you to get this article into the hands of as many people as possible so we may rescue the many millions of people who are being led into the occult through the popular movies and productions reviewed above. May God give you the grace and wisdom to walk worthy of the Heavenly calling we share in our beloved Savior, the Lord Jesus Christ!